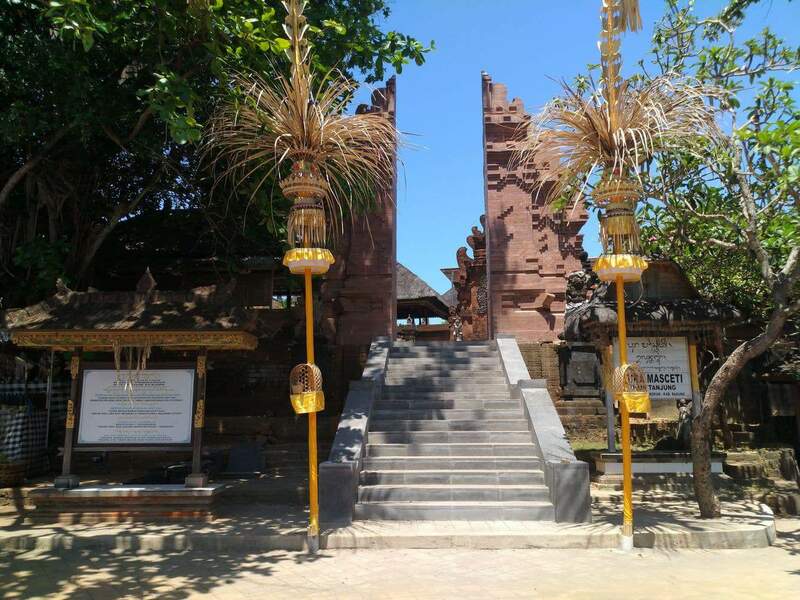 Petitenget Temple is a small and old temple located close to Petitenget Beach in western Bali and is considered a place of worship for the locals. 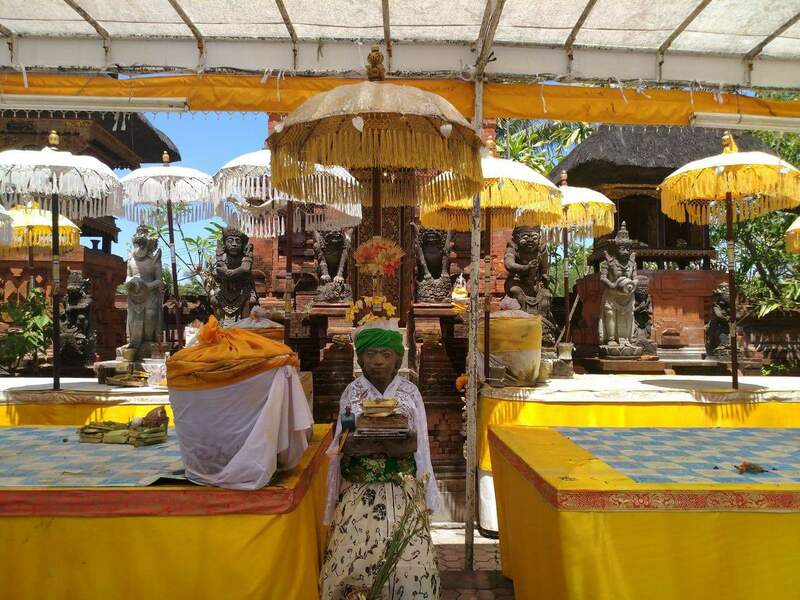 Although not a large tourist attraction in Bali, Petitenget Temple is open to visitors who wish to take a look around the grounds. 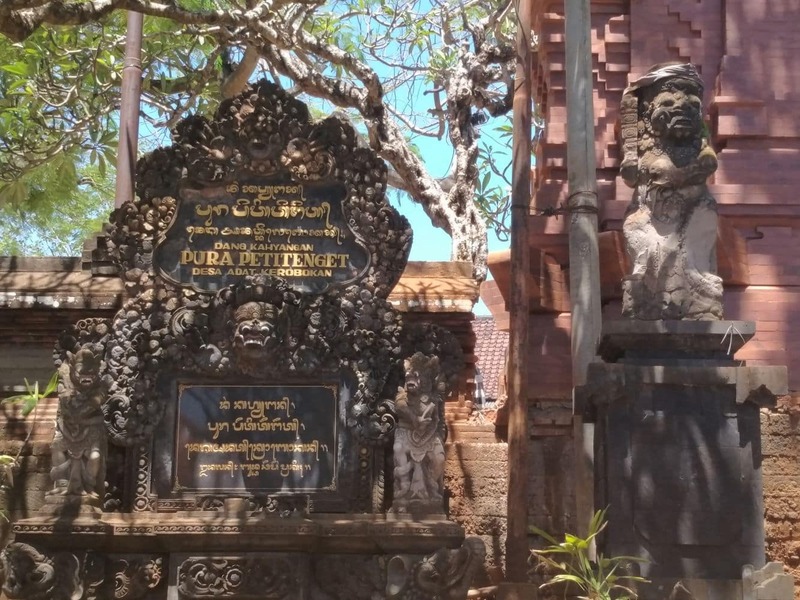 The name of the temple translates to ‘the haunted clique’. Forklore has it that people would go to the forest and become sickly, something was attributed to the presence of dark spirits. 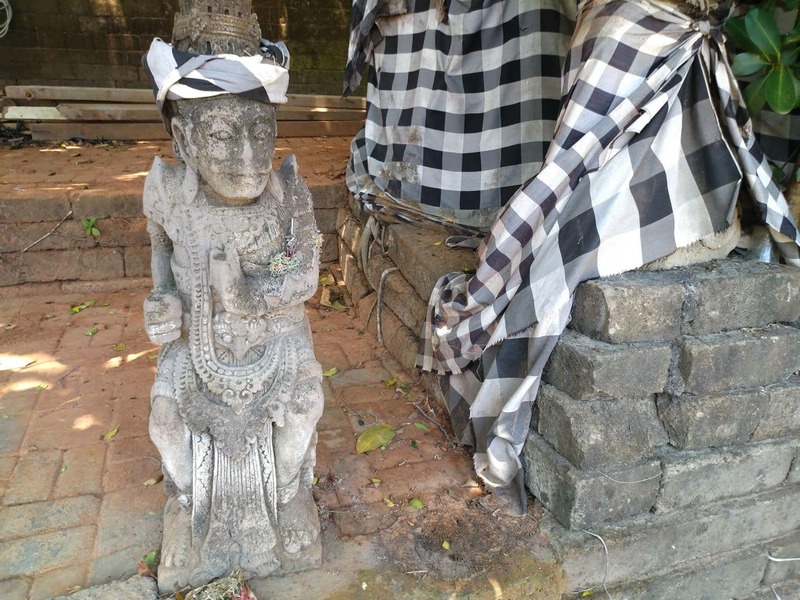 The solution to this was believed to be in the construction of a temple to ward off the dark spirits. 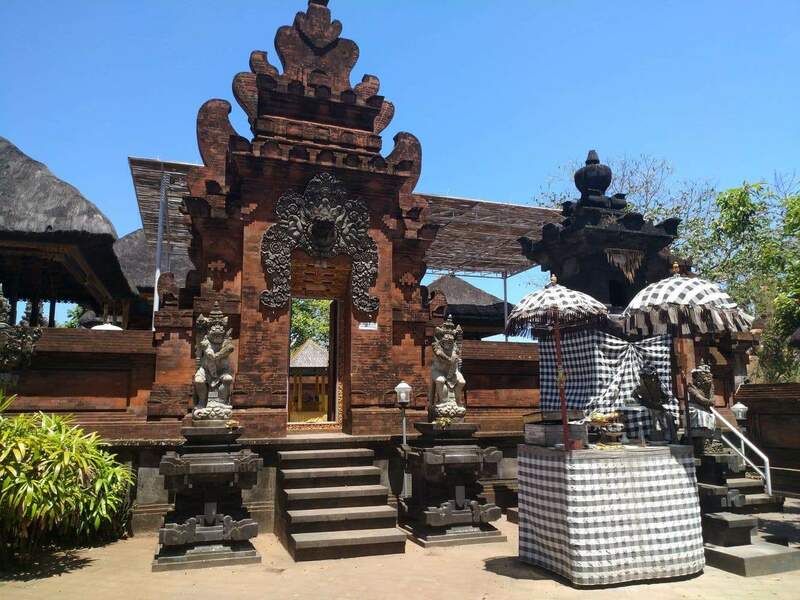 The area is not considered dark anymore, thankfully, so tourists can tour the temple in peace. 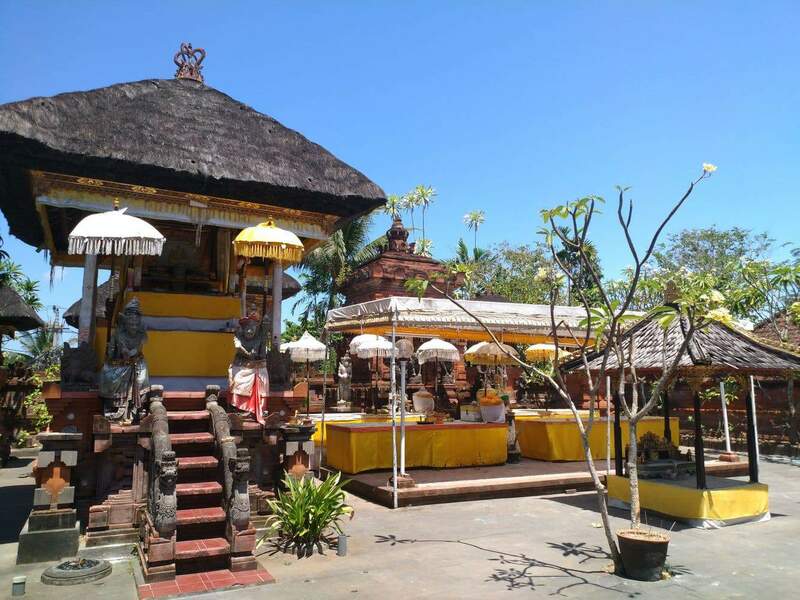 Today, the temple is a peaceful location teeming with lush gardens and scenic views. 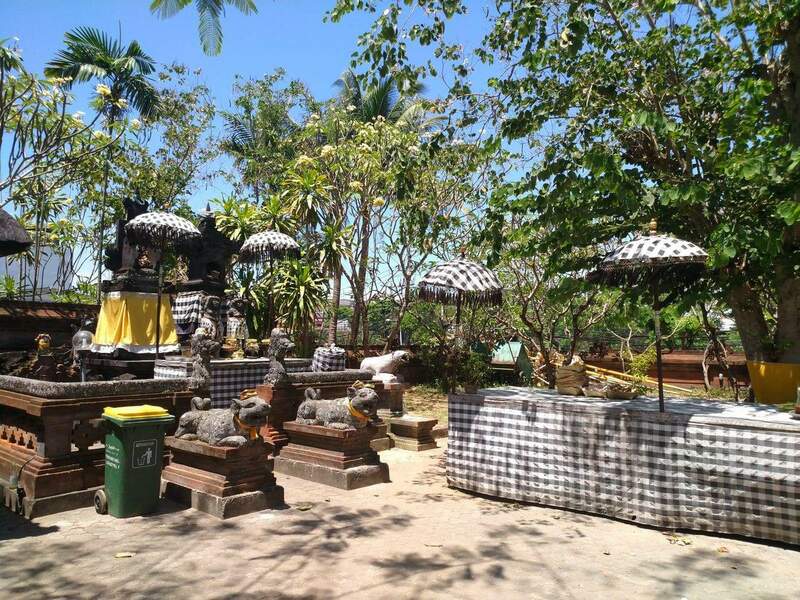 The temple is still an active place of worship, so religious festivals are a common occurrence at Petitenget Temple. 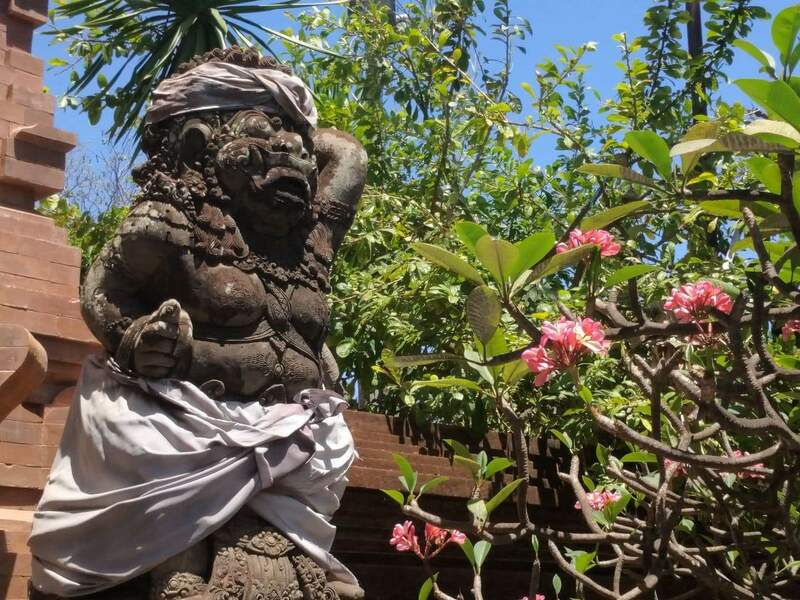 A number of these events are held on the adjacent beach, so beach-goers can learn about Balinese culture as they relax on the beach. 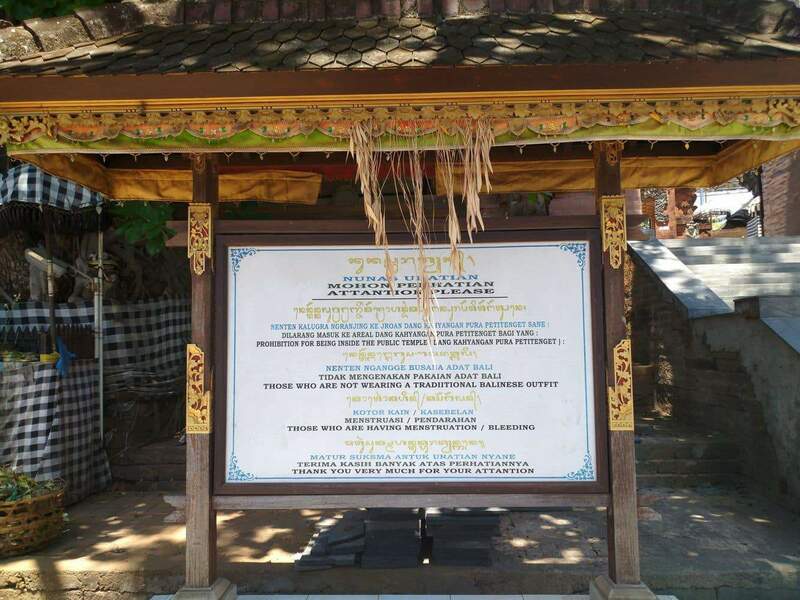 You should be able to catch a glimpse of the locals giving offerings and burning incense to the gods. The architecture of the temple constitutes red bricks and sandstone which give it a rustic feel, yet blends with the natural surroundings. 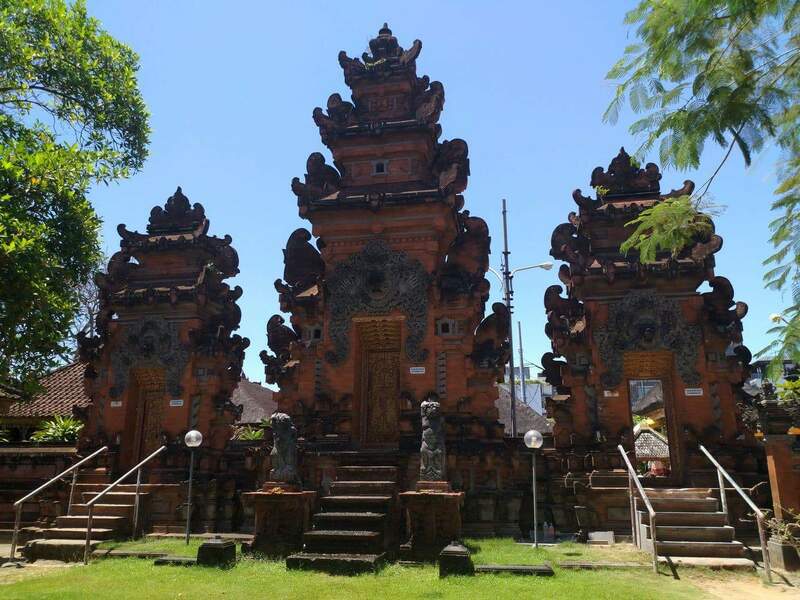 The staircase design is inspired by a dragon and it leads up to multiple Balinese shrines. 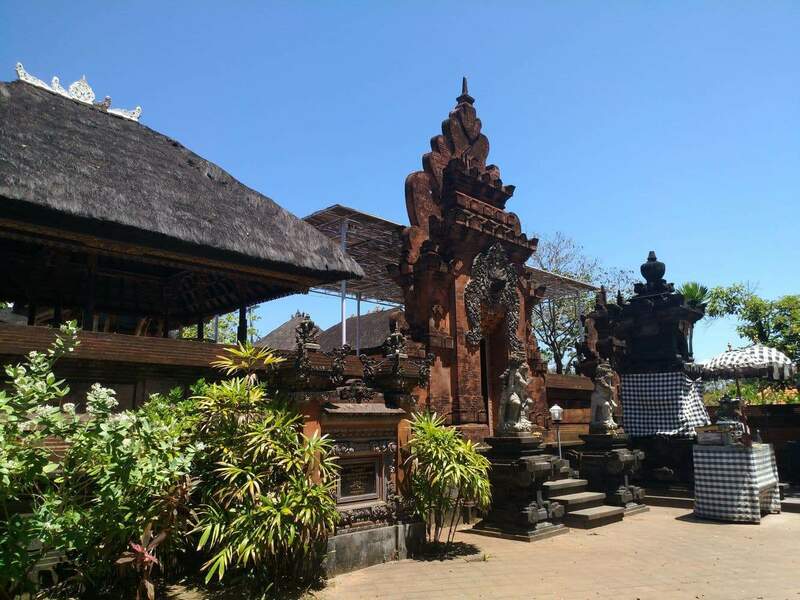 As one of Bali’s prominent sea temples, Petitenget Temple is a must-visit for anyone who would like to learn more about Balinese culture. 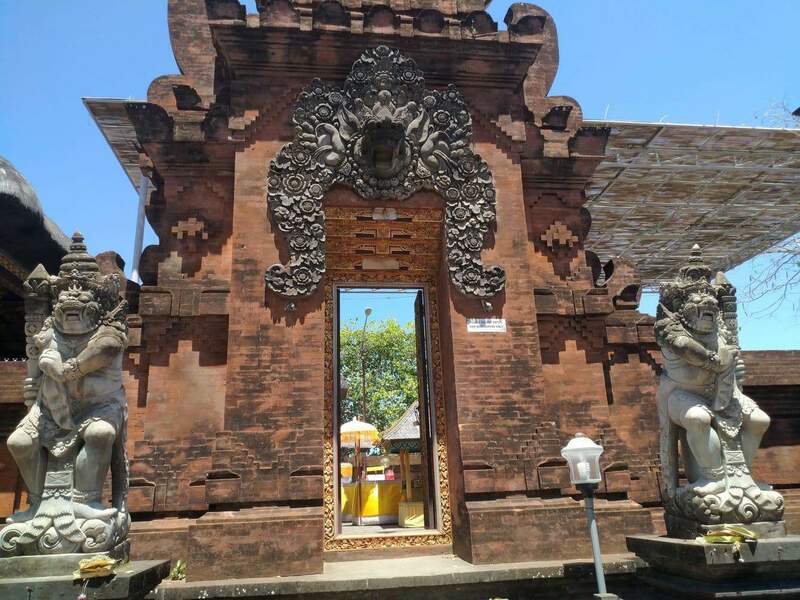 The entrance fee is around 50,000 IDR and visitors must ensure that they wear a sarong to cover knees and ankles. Also make sure that shoulders and midriffs are covered. 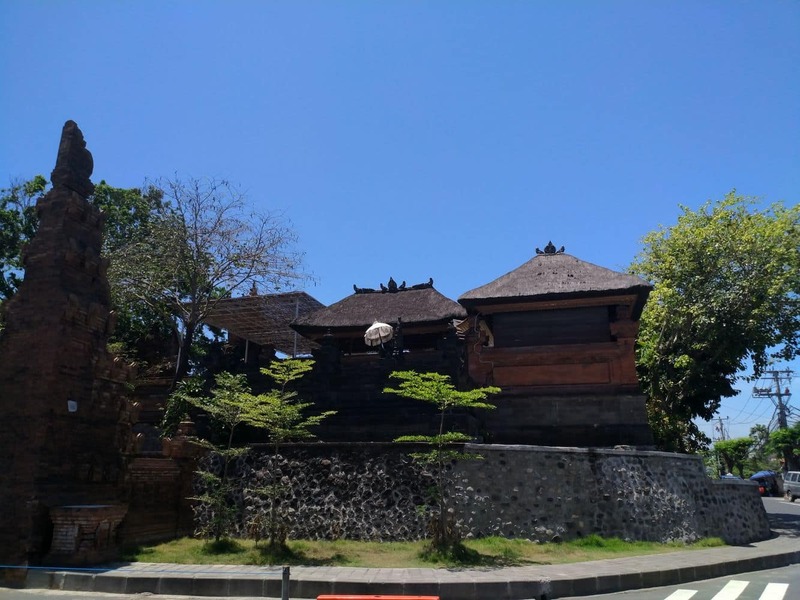 I just searched through my travel expenses from when i visited the temple last October and it was in fact 50,000IDR (it was equivalent to $4.73AUD). The price i had published may have the local’s price, or it was also sourced from another website that had the wrong pricing (it doesn’t help there is no official website or information, so everything is crowd-sourced). This is Yvaine Chen from Taiwan. My friend and I are going to visit you next month. However, we’re vegetarian and would like to visit some local food stands. 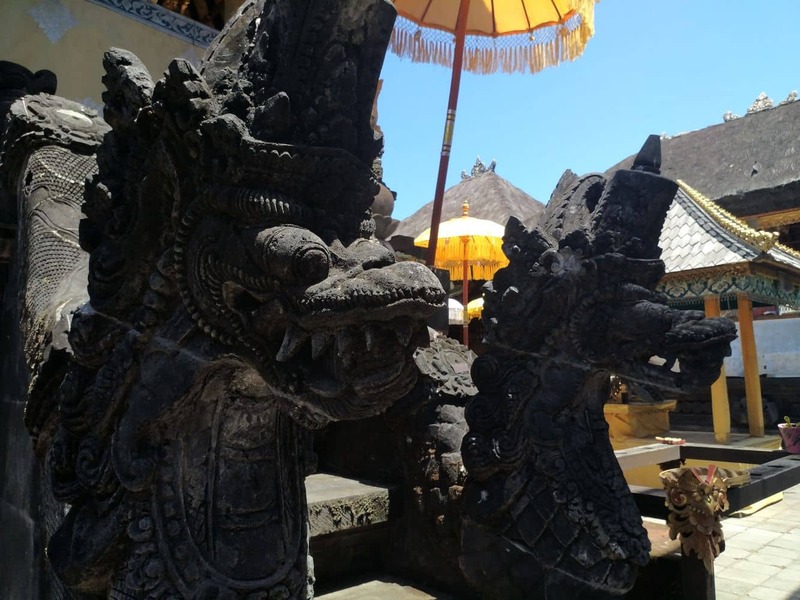 We wonder if there’re any food stands around the temple? 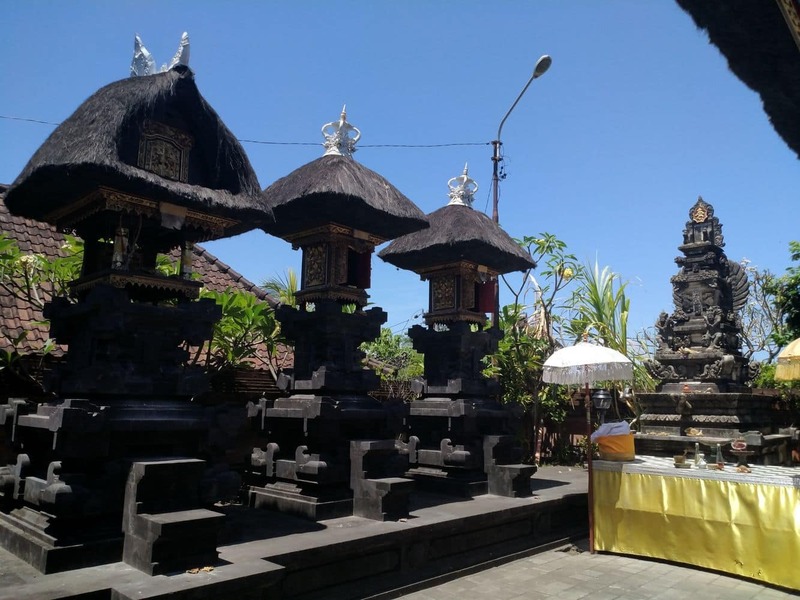 There aren’t food vendors right near the temple, but there are plenty of restaurants and food stalls near the beach, just a few minutes walk from the temple. Have another concern about the costume. Is there anything we need to be careful? 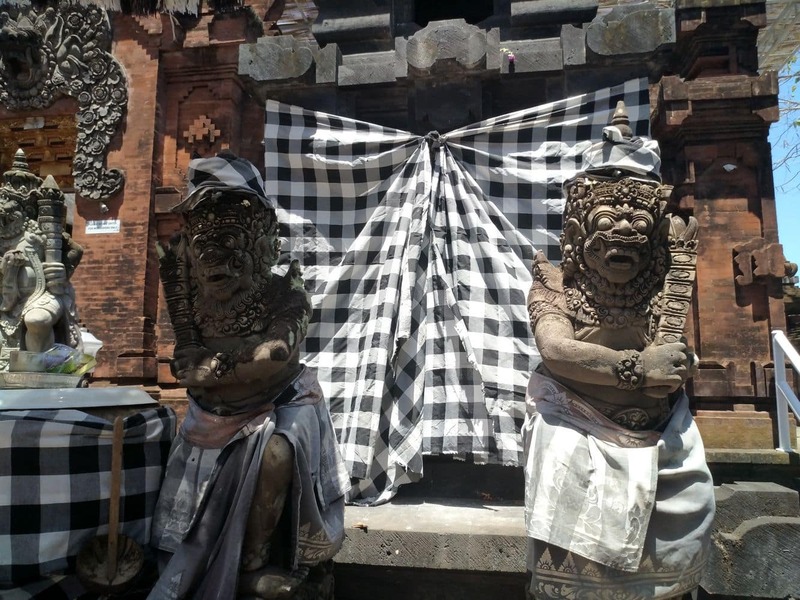 If you are asking about the dress code, visitors must ensure that they wear long pants or a sarong to cover knees and ankles. Also make sure that shoulders and midriffs are covered.